Vitamin D, commonly dubbed the “sunshine vitamin,” is an essential micronutrient produced by the body when exposed to sunlight. Generally speaking, most people require 10-30 minutes of decent exposure to sunlight, 3-4 times a week in order to naturally synthesize enough vitamin D.
However, factors such as genetics and where we live also play a role in whether or not we’re synthesizing enough vitamin D. And it is important to be aware of these influences on our personal lives, in order to maintain an optimum level of vitamin D.
But why does this one vitamin get so much attention? 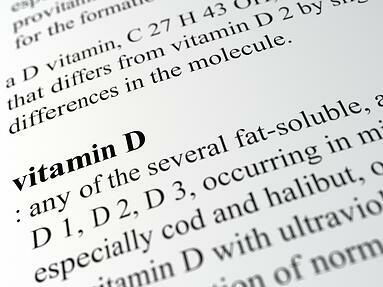 It’s simply because vitamin D plays a tremendous role in the body – more than most even give it credit for. While the role of vitamin D in the regulation of calcium and phosphorus (and by implication, the development of healthy bones and teeth) is well-documented and accepted, this is not its only benefit. Here are five more reasons why maintaining optimal levels of this sunshine vitamin is important for our health. In human studies, the researchers also found that pregnant women with low levels of vitamin D had an increased chance of having a child with autistic traits. Thus, it is believed that maintaining an optimum level of vitamin D may support brain health and function in children at risk. Low vitamin D levels may be one of the key reasons why acute respiratory infections such as colds and flu are common during spring and winter. According to a recent study published in the British Medical Journal, vitamin D plays a critical role in enhancing immunity against viral, acute respiratory infections. According to the study, which accommodated about 11,000 participants across 14 countries, a daily supplementation of vitamin D at a concentration of about 25 nmol/L reduced the risk of acute respiratory infections by 50 percent. And although the exact mechanism behind this is still unclear, it is believed that vitamin D achieves this protective capability by increasing the levels of antimicrobial peptides in the lungs. Maintaining a healthy weight is more important now than ever and as it turns out, vitamin D may play a role. There’s a strong link between obesity and low levels of vitamin D, which implies that individuals with large waist lines and excessive abdominal fat tend to suffer from vitamin D deficiency. In a 2018 study that examined the impact of vitamin D on weight loss in overweight women over a period of one year, it was observed that the women who received vitamin D supplementation lost 7 pounds more than the women who didn’t. The relationship between vitamin D and diabetes has been investigated by several studies and bulk of these studies concluded that an optimum concentration of vitamin D in the blood does help in maintaining healthy blood-sugar levels. Probably another commonly overlooked benefit of vitamin D is that it may help gestating women go through pregnancy successfully. Low levels of vitamin D in pregnant women have been associated with gestational diabetes – a major cause of complications during pregnancy. But, according to a study published in Journal of Research and Medical Sciences, vitamin D supplementation in the first and second trimesters of pregnancy helped in managing gestational diabetes mellitus, thereby increasing the chance of carrying a successful pregnancy. The sunshine vitamin, as it appears, not only helps strengthen our bones, it beams its light of health on much, much more.